Yahoo is toying with the idea of adding a “blade” (or more commonly known as a horizontal accordion) interface to some of it’s search results. 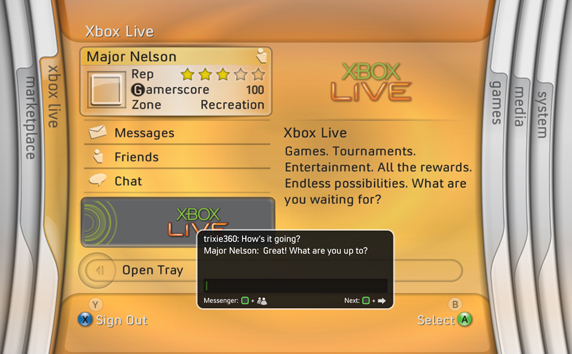 The blade interface’s claim to fame was its use in the original Xbox 360 dashboard (2005-2008). I’m not confident this feature will last very long. Microsoft moved away from it with subsequent dashboard updates for the Xbox 360. 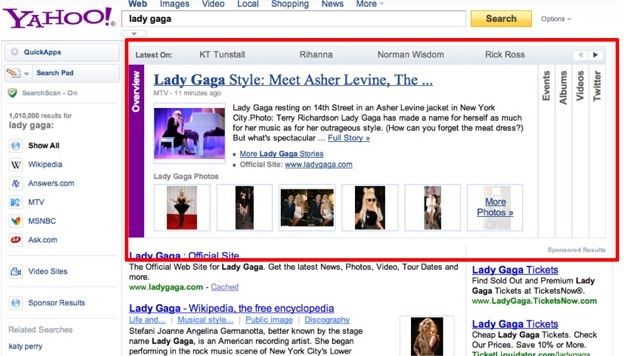 Maybe Yahoo will have better luck.